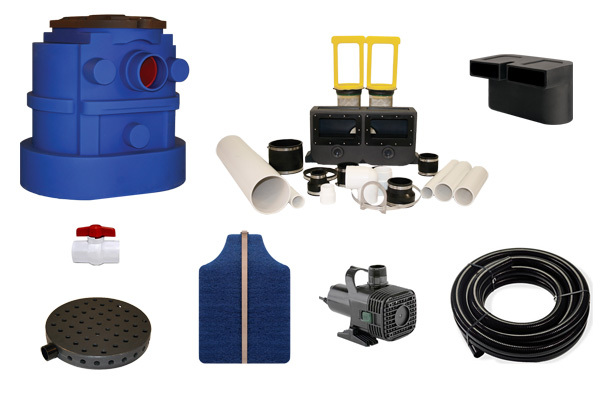 Provides pumping, filtration, skimming and overflow components for a pond with a waterfall. Includes the T75F Filtered Pump Vault. Optional Auto-Fill and Pump Shut-Off Devices are available. 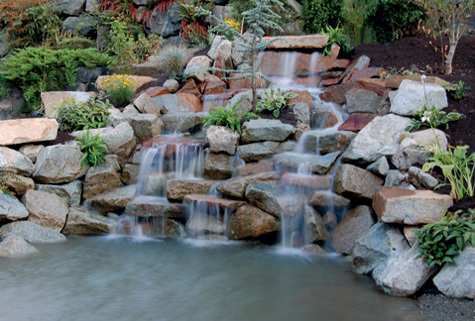 For use with waterfall and pond style installation. This system is designed for a waterfall which falls into a pond. 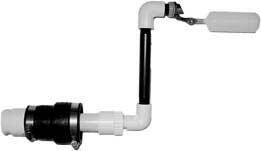 The included skimmer provides a self-adjusting water level. The above photo is an example of a system built by a Berkey Supply Customer using the components included in the Oasis 2 Pond System. Prevents fish from entering the Double Door Skimmer. Adjustable design, constructed of 304 stainless steel.